There is no school for contemporary Electronic Music. One can master the technology, listen to what has gone before, and then make their own contribution to the field. This is why so much EM sounds so original, and imbued with a sense of freedom and possibility. 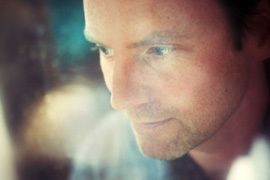 Recording under the name loscil, Scott Morgan is perhaps the finest example of this idea. 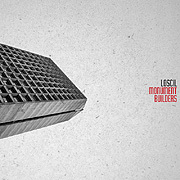 The album Monument Builders (37'45") is more than just another collection of electronic mood music. From the far corners of his ample imagination, he consistently delivers innovative albums of synthetic textures and cerebral grooves. Still determined to grow, Morgan manages to come up with something new, yet remains entirely himself with every release. Monument Builders strays into some tender territory. Its gently fluttering voice fragments extend this album into lighter, heart touching realms. Textures blend in an aural wash, as a sustaining restless energy emits the crackle of electricity. As blips and glitches synchronize in a harmony of portentous electronics, a methodical pacing builds towards big ideas. Its dark and most interesting turns sound an undercurrent of ominous warning, then yields to optimism. In minimalist style a throbbing bass pattern meshes with pulsing sandy gears beneath waves of French Horn notes - its engine motoring on like a minor key powerhouse. Quietly sensational, the seven stories told in sound shimmer in a heraldic light, then recede into the firmament of night - advancing the sonic language of loscil into higher and lower emotional peaks and valleys. Monument Builders may be his most refined work, showing Scott Morgan to be a creature of the vast open sonic plane in which he inhabits.